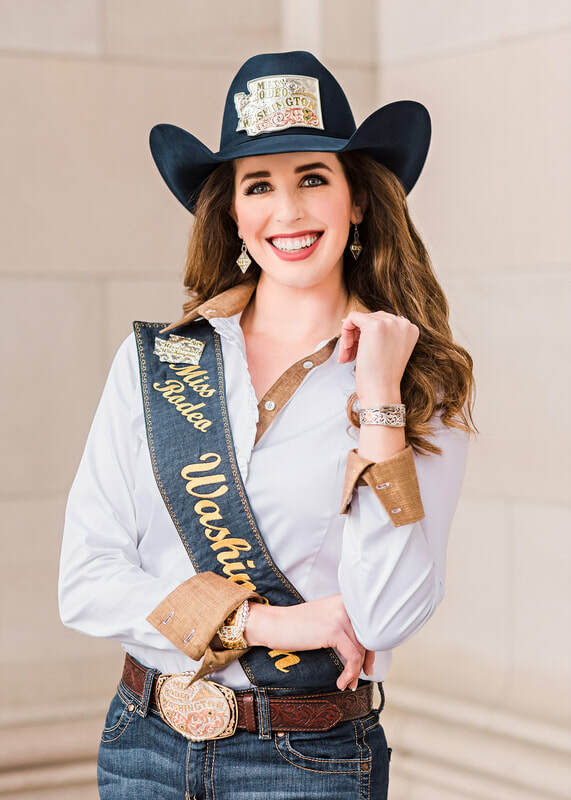 Are you interested in running for the 2020 Miss Rodeo Washington or Miss Teen Rodeo Washington - click here to be directed to information on the 2020 Program. Miss Rodeo Washington Pageant is an organization made up of volunteers who believe in the advancement of Washington youth. Through the Miss Rodeo Washington Pageant, we work to promote a positive image of rodeo while preserving our western heritage through education, leadership development, and personal growth with the highest level of integrity. Miss Rodeo Washington Pageant, Inc is a non-profit organization dedicated to promoting our Washington youth by providing scholarship awards for the young women of Washington to maximize their educational potential and the opportunity to represent the western way of life, promote the sport of professional rodeo, and the State of Washington utilizing their public relations skills and public speaking ability. The Miss Rodeo Washington Pageant is held annually to select a young lady who has the desire and enthusiasm to serve as a goodwill ambassador in the State of Washington for the sport of professional rodeo. Miss Rodeo Washington is awarded the prestigious opportunity to represent Washington in the Miss Rodeo America Pageant. The Miss Rodeo America Pageant is held in December each year in conjunction with the National Finals Rodeo in Las Vegas, Nevada. Content copyright 2017. Miss Rodeo Washington Pageant. All rights reserved. Miss Rodeo Washington Pageant is sanctioned by Miss Rodeo America, Inc.